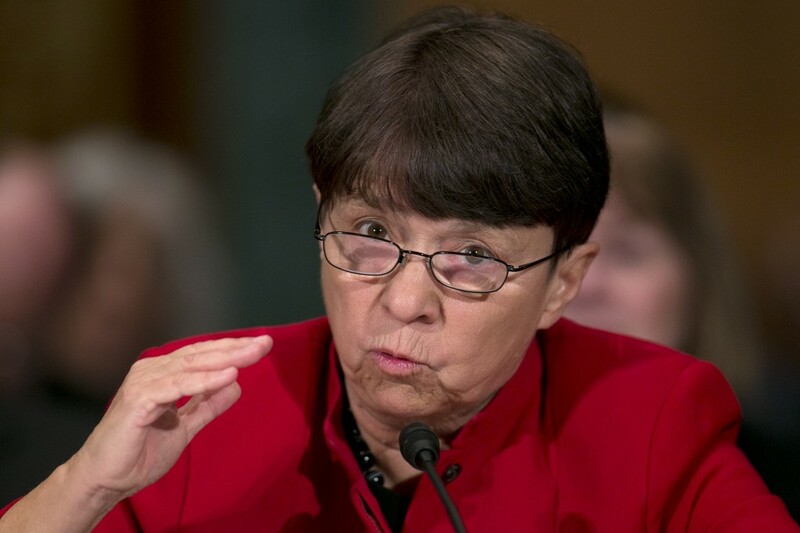 In a swan song, SEC's Mary Jo White urges convergence. Outgoing SEC Commissioner Mary Jo White encourages FASB and IASB to continue collaboration. In what seemed like a swan song on accounting issues for her tenure at the Securities and Exchange Commission, outgoing SEC Chair Mary Jo White advised the next commissioner to restart currently moribund efforts to converge U.S. Generally Accepted Accounting Principles with those of the International Accounting Standards Board. “Building high-quality, globally accepted accounting standards requires that the Commission support further efforts by the [Financial Accounting Standards Board] and [the International Accounting Standards Board] on convergence between their accounting standards to enhance the quality and comparability of financial reporting — both domestically and across borders,” she said in a public statement issued on Thursday. The decade-long push to develop a single set of high-quality global accounting standards dwindled during White’s term of office. Last year, it appeared to reach a definitive end when the U.S. Financial Accounting Standards Board and the U.K.-based IASB issued separate lease accounting standards, rather than meld them into the one converged standard that had long been planned. Further, the priorities of the SEC under White had much more to do with implementing Dodd-Frank rules and demanding erring corporations to admit their guilt than with pursuing accounting convergence. In fact, the commission has displayed relatively little interest in corporate financial reporting over the last four years. In her statement, she urged the incoming SEC chair to work closely with the commission’s chief accountant on monitoring the development of international reporting standards. The next top cop of U.S. financial reporting standards should parlay the commission’s existing ties and “continue to be an active member of the Monitoring Board of the IFRS Foundation,” White said. President-elect Donald J. Trump has nominated Jay Clayton, a Wall Street lawyer who has had Goldman Sachs, Bear Stearns, and other financial services firms as clients, to be the next SEC chair. To be sure, in her decade as an attorney at Debevoise & Plimpton before being named by President Obama as SEC chair in 2013, White represented such clients as JPMorgan, UBS, former Bank of America CEO Kenneth Lewis, and former HSBC chief executive Michael Geoghegan. While Trump and Clayton haven’t yet had anything to say about the desirability of closer ties between U.S. and international accounting standards setters, White came out strongly for them. “Although the FASB and IASB have completed their agreed-upon, priority convergence projects, this milestone must not mark the end of the intense collaboration that has occurred between the two boards over the last few years,” she stated. “These efforts have greatly enhanced the quality of accounting standards in a number of important areas, including recently narrowing many differences in the accounting standards for revenue recognition, leases, credit losses on financial instruments, and recognition and measurement of financial assets and liabilities,” White added. Because the Senate hasn’t confirmed President Obama’s nominees to fill two SEC commissioner slots that have been vacant for more than a year, Trump will be able to make his own nominations. What the SEC’s last meaningful accomplishment? Global organizations such as the World Bank, International Monetary Fund, International Organization of Securities Commission and many others support the IFRS and the need for global standards. It is only a matter of time that the United States embraces the concept and catches up….